These are a selection of kite accessories that we offer. If you don't see what you are after please contact us as we can get anything! 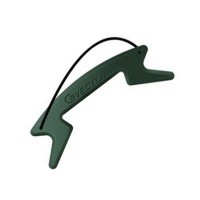 We stock accessories such as kite stakes, powerkite lines, handles and wind meters plus more! 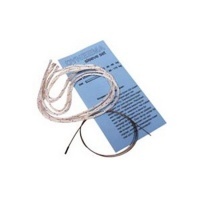 Replacement flying lines for your Ozone Ignition or Imp kitesurf trainer kite. These lines are the same that come as standard. 18m long and matched 3 lines. This is suitable to replace the sleeving on kite lines under 300Kg breaking strain. Comes with 4 lengths of sleeving and a long needle to fit. 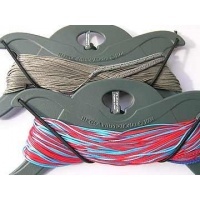 These are great quality dyneema power kite lines ideal for stunt kites and small two string power kites. They come pre-stretched and matched pairs with coloured sleeving. 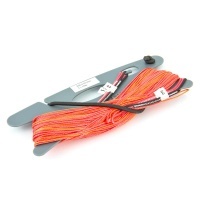 These Vector Lines are a matched quad set ideal for replacing on quad line power kites. Colour coded and pre-stretched they are great replacements for broken or old lines. This is an essential bit of kit if taking lines off a kite. 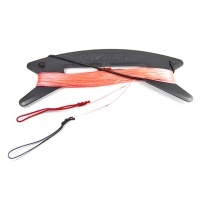 Don't get tangled up with loose lines store them on a winder. 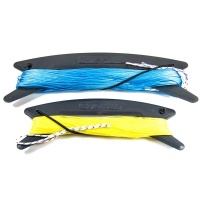 Replacement Flying Lines from Flexifoil for your power kite. Matched length dyneema lines in various lengths and line strengths. Any query which are the ones you need give us a call.